Merry Christmas! I refuse to let the America haters win this holiday season! After I published my article last week, I needed to go to my local Home Depot to purchase some building supplies for a project I am working on for a friend. I pulled into the parking lot at about 10:45 A.M. on “Black Friday”. I am 71 years old and have never seen a Home Depot parking lot this full! I was driving my older heavy-duty Chevy Silverado hunting and work project truck and pulling a 5’ x 8’ utility trailer. With the trailer attached I had trouble finding a parking space! As I looked for a parking space, I noticed men, women and families loading shopping and lumber carts full of all sorts of merchandise including large stuffed animals, Christmas decorations, tools, and even live decorative poinsettia plants into a wide variety of vehicles. And yes, there were also people like me buying building materials, including those in line at the licensed contractor checkout loading area. When I did find a place to park and got inside it was literally standing room only in some parts of the store. And, like the overflowing parking lot, I have never seen so many orange aprons (Home Depot employees). It was obvious that Home Depot had gone on a well thought out “hiring and training spree”. I had to wait in a queue for an employee to find me a lumber cart and help me load the materials I needed on it. Yet everyone I interacted with in this practically overwhelming retail environment was cheerful and professional. The young lady that checked me out even said “Merry Christmas” to me with a bright smile when she handed me my receipt and credit card back. The young man that helped me fill my order waited for me to check out and then pushed the lumber cart out to the parking lot, helped me load my truck and trailer and then said, “Merry Christmas Sir”. Note: this is a free-standing Home Depot building supply, appliance and garden center store in western Georgia! It is not in a retail mall! 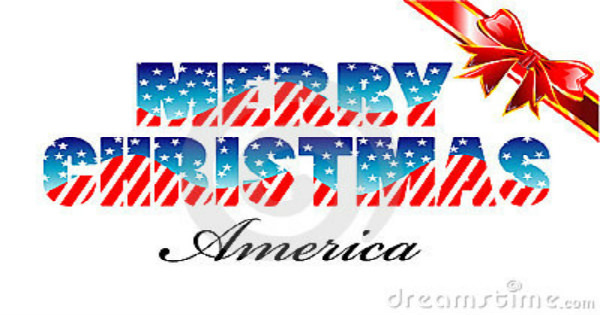 As I wrote earlier, I had just published my weekly article where I listed a lot of very positive things I see happening in America, and how I had made a conscious decision to not let the America hating Left (Democrats, MSM, and RINO Republicans) succeed in making me be in a negative mood this Holiday season! There is too much GOOD happening in America now to allow the Left to suppress my optimism! This positive experience reaffirmed to me that I had made the right decision to focus on everything GOOD that is happening in America. And then over the weekend, and into the first part of this week, every time I turned on the TV or logged into the internet, it became obvious that I was going to need positive experiences like this if I was going to be able to stay on track with having a positive holiday season and trying to share it with everyone I came in contact with. Senator Cindy Hyde-Smith was in a Mississippi runoff for her Senate seat against Mike Espy, a former member of the Clinton Administration. Another Republican candidate got enough votes in the primary election to force the top two vote finishers in the primary to compete in a runoff (Mississippi has a “jungle” primary system where all candidates can run). When complementing the host of a fundraiser that she was attending during her campaign Hyde-Smith said. “I think so much of him that if he asked me to attend a public hanging I would sit in the front row”. THE RACE CARD IMMEDIATELY CAME OUT ALL OVER THE COUNTRY! She was immediately accused of being racist and deliberately misquoted to support their ridiculous claim. The Left has constantly claimed that she used the word “lynching” instead of the phrase “public hanging”. Public hangings were legal capital punishment, lynchings were murder. She did use a poor choice of words, but this does not make her a racist. Unfortunately, deliberately misquoting someone for political gain is “standard operating procedure” for the Left. Update: Senator Hyde-Smith won the runoff by a comfortable margin. When a large band of illegals tried to cross the border into California the Border Patrol agents working that section of the border were outnumbered “hundreds to one”. When the Border Patrol stood their ground and enforced the border the illegals became violent and began to attack the agents with projectiles like rocks, pieces of concrete, and even pieces of the border fence while yelling obscenities at them. Several of the agents were injured and several of the Border Patrol vehicles were damaged by the projectiles. The illegals became so violent that the agents had to use pepper spray to try to stop the attack and then had to use tear gas to keep them from breaching the border. The Left’s immediate response was to loudly compare the Border Patrol to the Nazi massacre of the Jews and accusing them of “using chemicals of war against people who only wanted a better life for themselves, including women and children”. The last accusation came from a sitting U.S. Congressman. The Border Patrol supervisor responsible for that area of the border said that NOT ONE OF THE ILLEGALS APPROACHED THE BORDER AND ASKED FOR ASYLUM? The supervisor also said the group that tried to violently cross the border was almost totally male. A FOX NEWS crew that was at the border interviewed several of the illegals involved in the attempt to cross the border. They reported that no one that they talked to said they wanted asylum in the U.S. They all said that they just wanted to come to America to work for a few years. The FOX crew also confirmed that the group at this attempted border crossing was almost totally male. Beginning Sunday evening and on into the week, the Left (the Democrats, the MSM, and the RINO Republicans) literally filled the airwaves and the internet with nasty comments like the examples above. As I see all the good things that are happening in America now, I find myself wondering how there could be so much hatred like this for America? But I now accept the fact that the Left will stop at nothing to “fundamentally change America”. We cannot let that happen! Note: From this point forward, I am going to say “Merry Christmas” to people I interact with, not the P.C. “Happy Holidays”!